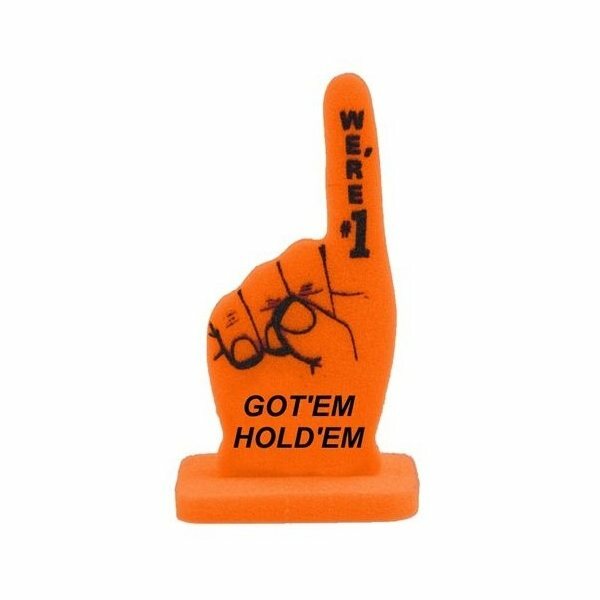 Mini 6" #1 foam hand with base. We used these for the annual Worker Appreciation Day. I will be using these for my eagle scout project. I can't wait. These are perfect for our very young audience. Overall appearence - excellent! Thank-you greatly. I could not happen to be more happy. Fast service; thank you! Great quality and at a great price. Courtesous and fast.